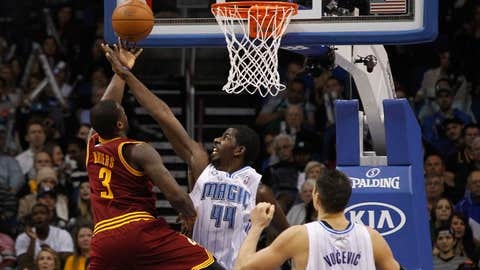 The Cavaliers beat the Magic 109-100 in their last meeting on December 13. The Cleveland Cavaliers are suffering through their longest losing streak of the season. With Kyrie Irving’s status unclear following an injury, it could drag on for even longer. Cleveland will try to snap its six-game slide on Thursday night when it hosts the Orlando Magic, who also have injury concerns. The Cavaliers (10-21) lost 91-76 at Indiana on Tuesday, with Irving having to be helped off the floor in the third quarter after hearing a pop in his left knee. 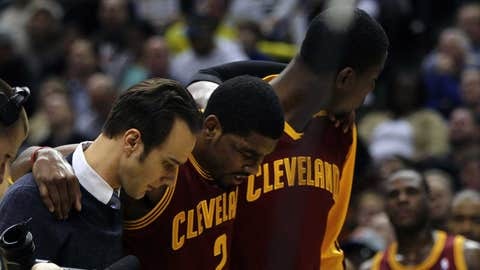 Irving was initially concerned the injury was a serious one but an MRI revealed a left knee bruise. He will continue to receive treatment and be evaluated but is considered question for Thursday’s contest. "Scary moment but I’ll be good," Irving, who scored 31 in a 109-100 win at Orlando on Dec. 13, said on his Twitter account. "Thanks for everyone’s support and concern." Irving had been averaging 28.5 points while shooting 43.8 percent from 3-point range over his previous 10 games but had just 10 points Tuesday, representing just one part of Cleveland’s offensive struggles. The Cavaliers, who have lost four of five at home after starting 7-3 there, hit only 36.2 percent of their field goals and went 3 of 16 in the fourth quarter while being outscored 26-10. The Magic (10-21) wrapped up a 2-4 season-long homestand with a poor offensive performance of their own, losing 94-81 to Golden State on New Year’s Eve. Orlando scored just one more point than its season low while shooting 38.2 percent from the field. The Magic were outscored 58-35 in the first 24 minutes. "There has to be accountability everywhere," said Glen Davis, who was 4 of 10 with 10 points. "That’s what has to happen for us to be a team that people take seriously." Center Nikola Vucevic left in the first quarter with a sprained left ankle and is considered day-to-day. Without their top rebounder – Vucevic averages 11.1 – the Magic were outrebounded 56-37. Vucevic, who had 13 rebounds in Orlando’s first matchup with Cleveland, missed four games earlier this season due to an injury to the same ankle. "He’s one of the best centers in the NBA, but he wasn’t there so we can’t sit and make excuses," Tobias Harris said. "That’s the NBA. Somebody gets hurt, just keep playing. We’re better than that and we know we’re better than that." Arron Afflalo, who had averaged 24.0 points over his last six games, finished with just 15 on 7-of-18 shooting. He was 6 of 15 against Cleveland for seven points after shooting 58.8 percent – 15 of 32 from 3-point range – through his previous seven matchups with the Cavaliers. Cleveland’s win was its fourth straight in the series following a 10-game slide against the Magic. Victor Oladipo scored a season-high 26 while going 9 of 13 in last month’s loss.